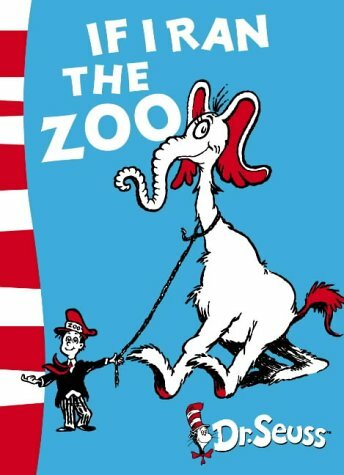 I don't think the zoo that Dr. Suess was talking about in his book "If I Ran the Zoo" was the Kansas City Zoo but who am I to say....maybe it was. Seems proud of it too. As well, he should be!!! Labor Day weekend signals the end of summer or so the Kansas City news stations keep reminding us. It doesn't feel like summer is winding down as it is 102 degrees today but none the less we are off to see the zoo before the colder (ahhh that sounds good) sets in. 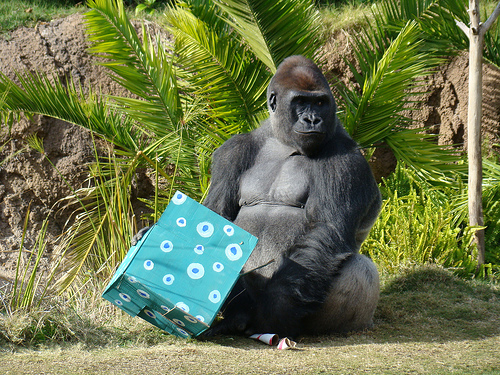 for the day and go on an outing to the zoo. First stop is the Aquatic animals...hello Mr. Polar Bear. He is heading our way to say hi. He is coming right over to the glass to get a good look at us. stuck his tongue out at us. How very rude. Grandson #2 had a plan of his own. After lunch we are off toward the jungle. Can't show you the top because it is upstairs. Coming out of one of the slides. There is a big slide outside as well. Grandboy #1 didn't mind the spider at all. The Meerkat is focused on us. He thinks we look odd. We are heading toward the front gate. It is nearly nap time. The Good for the Day...Kansas City has a great zoo and it is a fun place to spend time with family. That Bad for the Day....Still over a hundred degrees. What a special way to spend your Labor Day holiday. It really looks like everyone had a great time. Your grand-kids are very cute and I would imagine that all time spent with them is a real treat. (I know all the time we spend with our year old granddaughter is really something to behold.) Glad you enjoyed the day. I also think if you take another look at the picture of the "thing" on the wall you will see that it is a giant ant. It sort of looks like the whole slide area is made to look like one giant ant hill. The zoos and parks do so much to decorate these things nowadays it is sometimes difficult to see what they are trying to make. Your posts are always fun to read. Thanks for sharing your day. You are so right! That is an ant. I can't believe that I didn't notice the difference. The slide is supposed to be down the trunk of an old hollowed out tree. The sign over the bottom of the chute talks a bit about tree preservation. It was fun spending the day with G-boys. In fact they might be showing up in the next couple of posts as we spend the last several days with them. Thanks for reading Bob. I always appreciate your comments. That turtle has dreadful manners. It did appear that way unless he was trying to lick Grandson #1 because he is so very sweet. Perhaps that is what was happening. Oh!! What a lovely day. I haven't been to the zoo in decades! This looks like such a fun time! As far as the tortoise with the terrible manners, I can't say for certain from this picture, but it looks like a Sulcata. If so, we have a 75-lb. version of him running around in our backyard. They're very rude animals. We went to the zoo yesterday, too! Except we were the mean parents who decided to skip the merry-go-round. Guess that's what makes grandparents so awesome. Glad you had fun. We only manage to get there once a season. A shame really as it is such a nice outing and so close by. There are som many fun places around KC to go and yet we never seem to make it to them. Not enough hours in the day. Thursday was a fun day though. Is the weather getting better where you are? I totally agree about Trinity and our Grandson #1. They are such cute children, I can only assume they will be beautiful when they are older. Trinity has the most precious smile and the face of an angel. Aren't we lucky to have 4 cute little ones in our lives.